“I learned how quick I go into ‘catastrophizing’ mode in my thinking. I do that all the time. But now I can change, stop, take a breath and consider my options,” David, one of our athletes’, commented in the closing of our class. This is an example of an Affirmation, one of the choices of the 3 A’s, as we affectionately refer to our course closing practice. This one credit course on building psychological resilience is a freshman seminar that is offered through the College of Nursing to all freshman and specifically required for entering athletes, football players, men’s and women’s basketball. 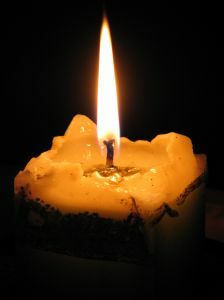 In the ritual closing of our class each individual is invited to offer either an Affirmation of what they learned or an Appreciation of what a peer or faculty contributed or an Appraisal of what they wished happened in class but we did not get to. I invite students, staff or patients to participate in this dynamic closing practice that is derived from the Peace & Power process (Chinn, 2001). Whether leading a class, a clinical meeting or a patient group, the last 5-10 minutes of the meeting are facilitated by each member of the group responding to the 3As. Hearing what other group members affirm, appreciate or appraise is rewarding for everyone present. The resulting individual recognition and productive feedback builds group cohesion. In David’s comment he described learning about catastrophizing from the brief lecture I gave on cognitive awareness, a component of the Changing Minds, Changing Lives (CMCL) resilience intervention. As an educator, it is always helpful to learn what stays with students! Comparison of the CMCL intervention pre and post data indicate an increase in emotional awareness, belonging and resilience during the transition to college, all essential attributes to college success (Chandler, Roberts & Chiodo, 2015). Recently funded by the National Collegiate Athletic Association, sophomores now mentor freshman and freshman mentor high school students within the CMCL course. In a course where students learn their individual strengths and hear stories of their teammates experiences, our participants thrive, resulting in an increase in self efficacy and team bonding. I highly recommend reserving the last 10 minutes of every group for the 3As where each component of the closing, an Affirmation of learning, an Appreciation of another group member’s contribution or an Appraisal of what was needed, is so helpful to the participants and the facilitator. The 3As practice offers everyone the opportunity to speak their voice, whether a class of 80, where you can pop around the room, or a seminar of 12, where each individual can share their perspective. “I have an appraisal,” Michael began, “I wish we could have heard everyone’s strengths and not just those in our small group,” Good to know. Next time I’ll make time for each small group to report out. I can’t leave a meeting without a closing. Invite your group members to have the last word, their voices are so inspiring and everyone feels included. The Vastness of Peace and Power! Thank you to Alex for commenting on the last post pointing to the new “Classroom” section on this blog! Alex says it precisely – “It sort of feels too complicated and very vast for me.” This is exactly the challenge of Peace and Power. It seems so simple, but in fact it is very vast and very complicated. I attribute this paradox in part to the fact that all of us know, at a deep level, the meaning of being in the world where “Peace and Power” prevails – we actually have all experienced times when this is our experience, and it truly feels so wonderful. The times may be rare, but they tend to occur in our relationships with people we love deeply and who are close to us in our daily lives – the relationships that give us comfort and that make us feel good. But when we begin to think that the ways of being in those relatively private spaces might also be brought into the public realm, where there are very different “norms” of behavior – it just feels too good to be true! But I know, from experience, that keeping the ideals alive, and striving to live by them in all interactions – this makes a huge difference. To be sure, it is not always possible, and the ideal still is all too rare. But even the slightest shift in my own intentions, in being always aware of my own “peace and power” words and actions – this does shift almost every interaction and situation in some significant way. It is a way of living and of being. For those interested in Peace and Power in the classroom, you might want to check out the “Nurse Educator Praxis” blog – we post ideas about using peace and power in the classroom on that blog. Even if you aren’t connected to a classroom – the illustrations of the making possible the vastness of peace and power in everyday life might be helpful! Author Peggy ChinnPosted on January 20, 2018 Categories UncategorizedLeave a comment on The Vastness of Peace and Power! Visit the new page now! Then return here to add your ideas and comments, suggestions, and questions! Condensed Handbook of Peace and Power now available! 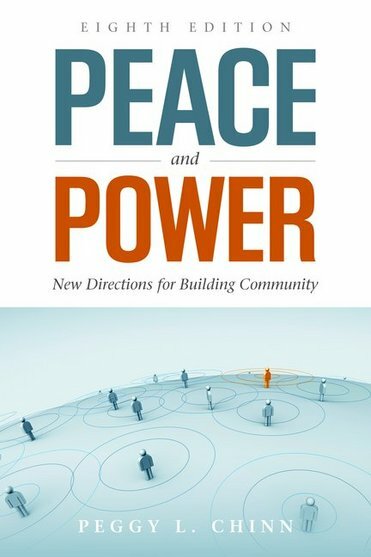 I am delighted to announce that the 2018 Condensed version of “Peace and Power” is available for download! You can download the complete PDF (75 pages) or individual chapters that relate to a specific part of the process. Link for downloading are available from the right sidebar of all “Peace and Power” pages of the website! Many of the pages of the website have been updated – and your comments, stories, questions and ideas are always welcome on this blog! So I invite you to take a little while to browse what is here. I know that many groups – formal and informal, volunteer and worksite groups – are turning to ideas like “Peace and Power,” seeking ways to overcome the cultures of hostility and violence that prevail in may public spaces. Share your ideas here, and we will integrate them into our discussions! Author Peggy ChinnPosted on December 5, 2017 Categories Blog info, ResourcesLeave a comment on Condensed Handbook of Peace and Power now available! 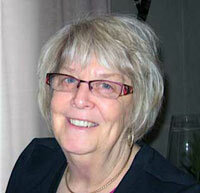 “Peace and Power” theory published in Journal of Nursing Scholarship! In this article, Adeline and I explain the theoretical framework that has evolved from our experiences with Peace and Power. Here is the citation! Author Peggy ChinnPosted on September 6, 2014 September 6, 2014 Categories Blog info, publicationsTags Journal of Nursing ScholarshipLeave a comment on “Peace and Power” theory published in Journal of Nursing Scholarship!